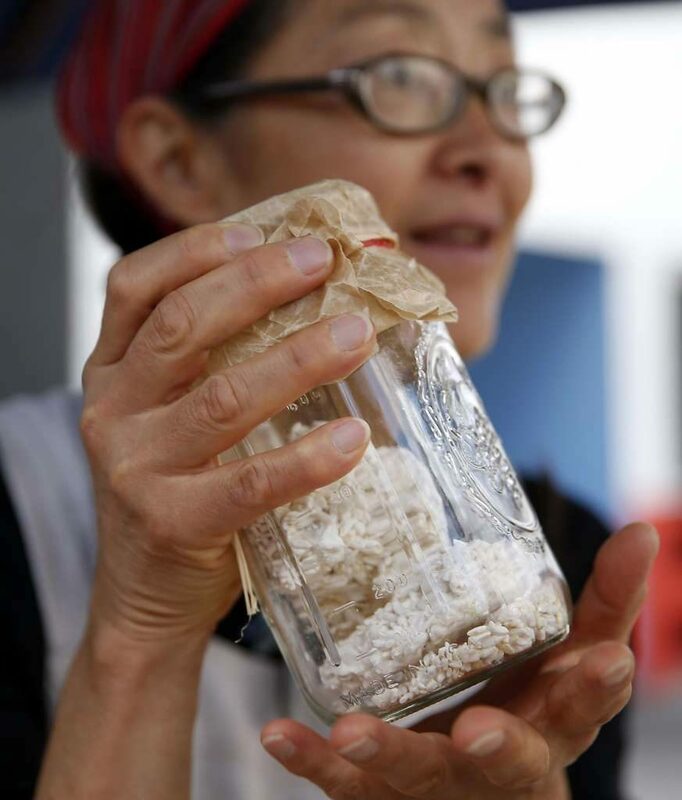 “It’s like taking care of a baby,” says Mariko Grady as she checks on her koji. 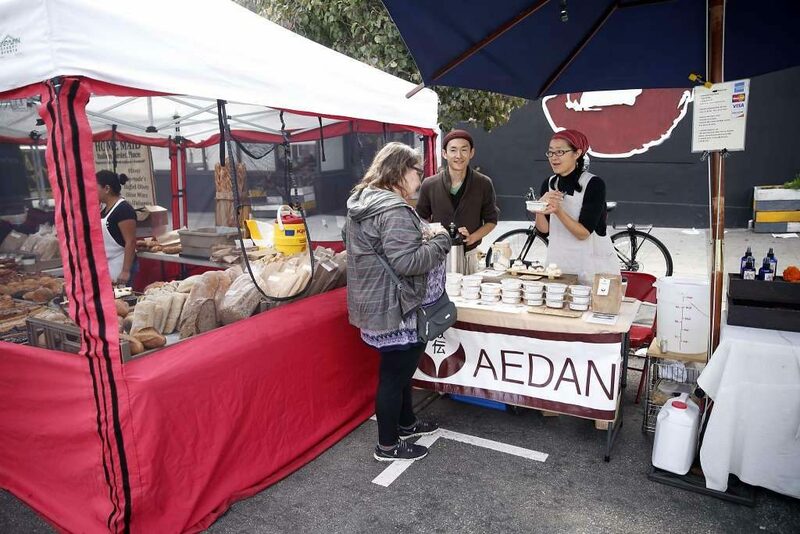 Grady is the owner of Aedan Fermented Foods, a fledgling food business in San Francisco, and koji is a key component to everything she makes. Koji is cooked rice (or barley or soybeans) that has been inoculated with koji-kin, the spores of the fungus aspergillus oryzae. Grady’s koji-kin, which she keeps in a plastic bag, looks like white powder. Over the next three days, she will carefully monitor the koji — stirring and regulating its temperature to make sure it doesn’t get overly warm and ferment too quickly. She relies on her sense of touch to know what it needs. 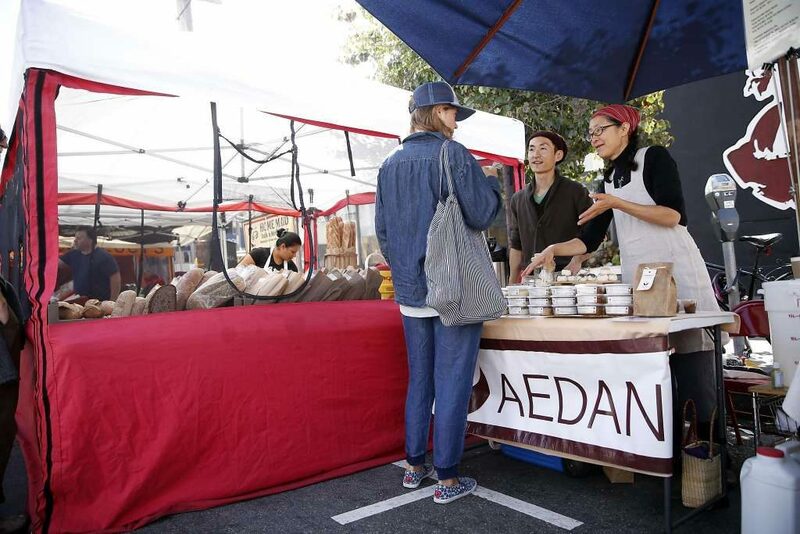 Starting Saturday, Sept. 3, Aedan will have its own booth at the Saturday Ferry Plaza Farmers Market where Grady will sell her four types of miso as well as other fermented products. 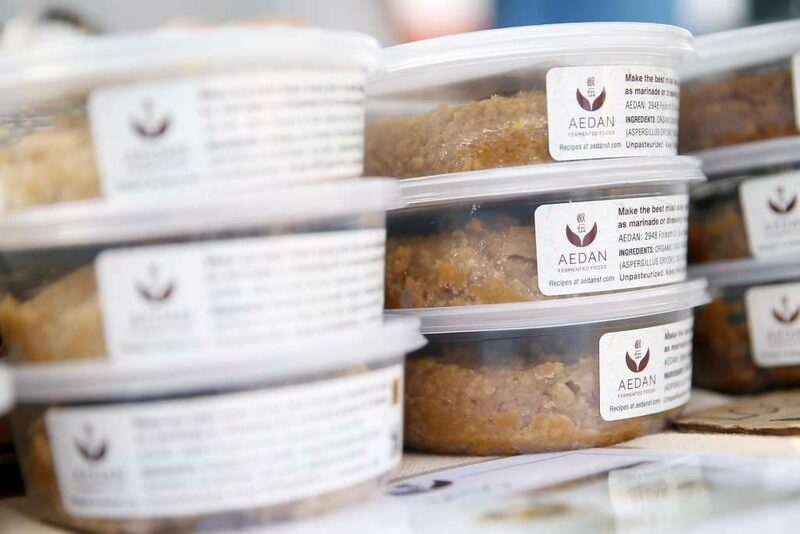 When Grady began making miso at home, she did it as a way to stay healthy and maintain her food traditions in the United States. 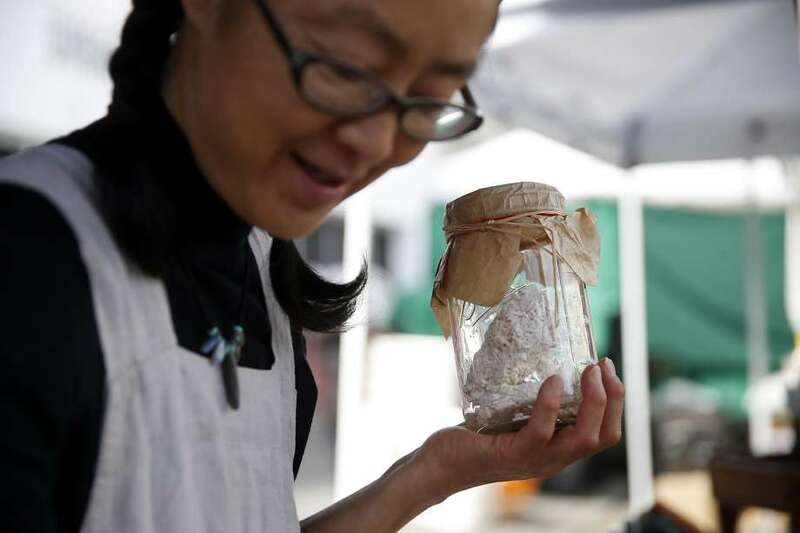 Now, it has become her avenue to teach Bay Area shoppers and home cooks about Japanese fermented foods. 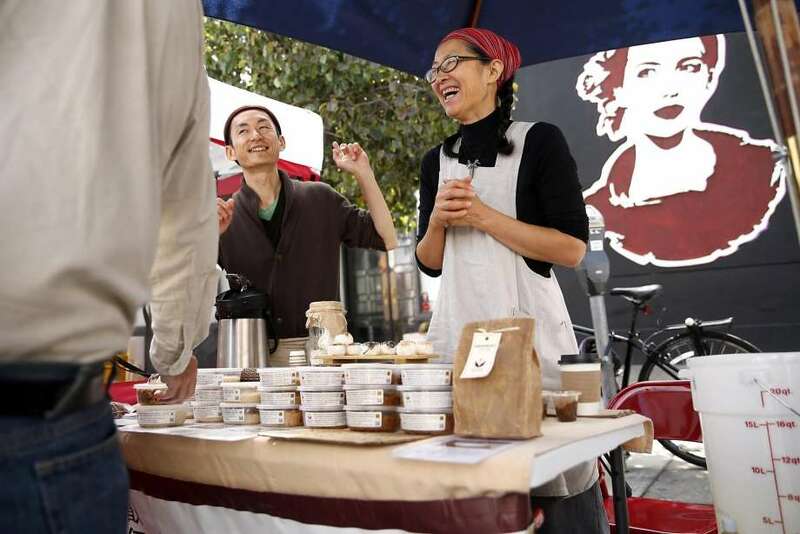 She has been a regular vendor at the Sunday Divisadero Farmers’ Market and had a previous temporary booth at the Ferry Plaza; a permanent presence at the city’s highest-profile market is a big step for this former professional singer and dancer. She also wanted to share a vital part of her culture. 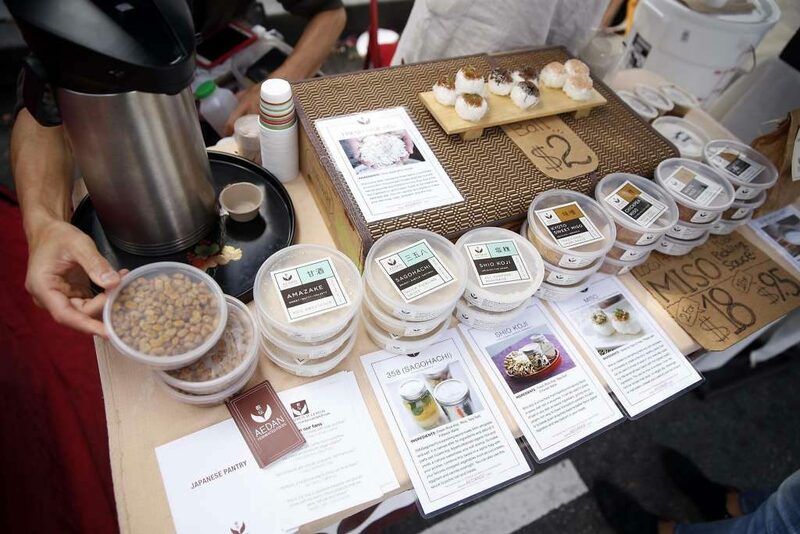 After the 2011 earthquake and tsunami devastated northeastern Japan, she began selling her miso to raise money for the victims. When the fundraiser ended, two unexpected things happened: People continued to request the miso, and she ran out of koji. After soaking the soybeans — or chickpeas, for those who can’t eat soy — overnight for her miso, she combines them with rice and/or barley koji. She then allows it to ferment at room temperature for months, depending on the type of miso. She says everything she makes is organic, although she can’t afford USDA organic certification. 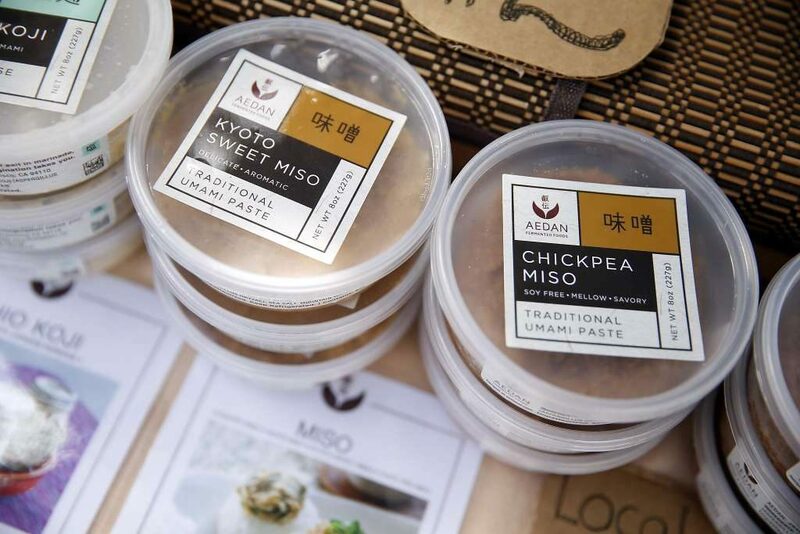 Grady sells four types of miso: country miso (which ferments for more than eight months); white miso (six months); Kyoto sweet miso (30 days); and chickpea miso (six months). 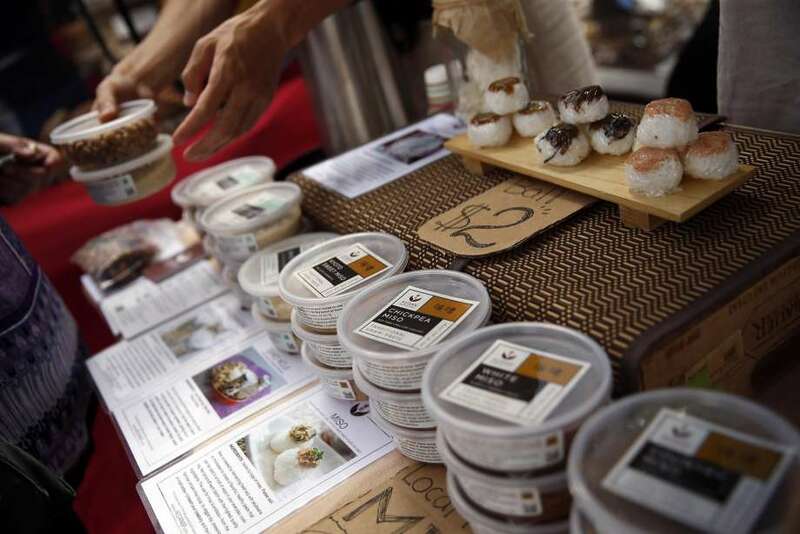 She also sells shio koji marinade (made with rice koji, salt and water) and amazake. The latter is a mixture of koji rice and water that is fermented warm for 10 to 12 hours until the starches break down, turning it sweet. Grady recommends using it as an additive in smoothies or simply mixing it with hot water and ginger for a warm drink. 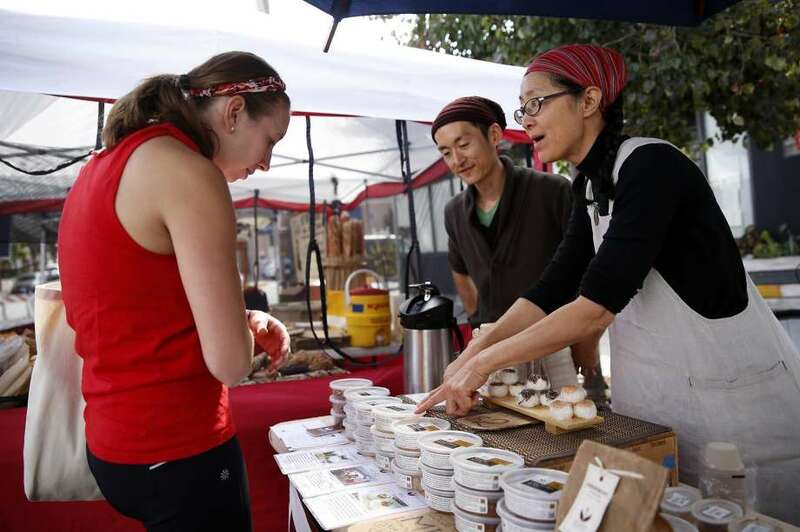 At the moment, Grady is focusing on her existing products as well as teaching miso-making classes around the Bay Area. By next year, she hopes to open a miso cafe where customers can order customizable miso soup and onigiri. In addition to keeping things simple, Grady has one other rule in the kitchen: Be happy.